Web posted at: 1:00 a.m.
Tokyo(DNN)-- The big Duck launched on the Takesiba Sanbashi attacks on Tokyo-Port late Thursday. 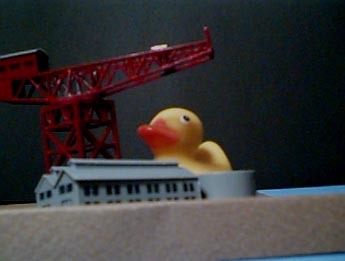 The Duck is Destroying and walking for central Tokyo City.We don't Know the damage of Tokyo and Duck's purpose,yet. Japan Prime Minister Keizou Obuch ,appearing at a press conference in Tokyo said " The army will fight the Duck ... it has the capability". We report the affair of Tokyo and the Big Duck,after this. Hi! 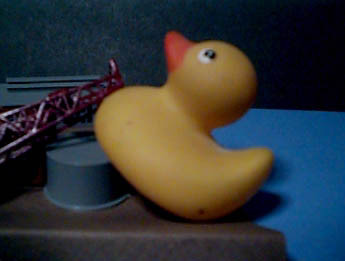 Welcome to the web site,Rubber Duckie On The Web.This site has many Rubber Duckie's Art Photos(maybe,humor phots....? ).Now,Take a look around!